Looks like Kinect is doing just as Microsoft expected. 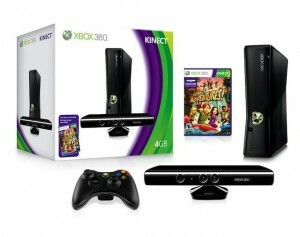 For Microsoft Kinect is already a huge success. Microsoft reported that over 2.5 million units of the hardware were sold worldwide in the past 25 days! Microsoft said in a statement, “We are thrilled about the consumer response to Kinect, and are working hard with our retail and manufacturing partners to expedite production and shipments of Kinect to restock shelves as fast as possible to keep up with demand”. Microsoft says that it intends to sell 5 million units before the end of the holiday season. Microsoft clarified that 2.5 million Kinects is the actual number bought by the gamers and does not count those Kinects sold to retailers for sale. Kinect’s success is good news for all Kinect gamers because that guarantees endless number of games and more market options. Steve Ballmer says Kinect is for Girls!